The fourth lithograph of the series is on sale today. 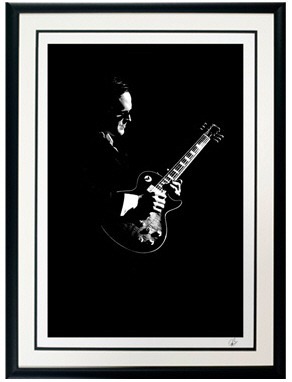 Titled “Infinity” this lithograph captures Bonamassa during one of his jaw dropping guitar solos. Each lithograph is numbered and signed by Joe. Only 100 of each lithograph is made and it will run you $399. Don’t forgot that you’ll also get two tickets thrown in (to the show of your choice) and a meet n’ greet. These lithographs look great and don’t be mistaken by the small picture – it is huge! Buy one at Joe’s official site.